Ski Mask the Slump god & Lil Pump – Slat. 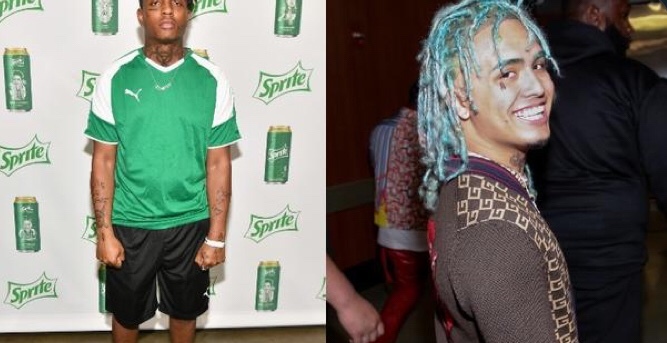 Ski Mask the Slump god links up with Lil Pump for a new song, Slat. Snippets of the song originally surfaced on social media, and many have wondered when this one will ultimately see the light of day. “SLAT SLAT SLAT SLAT SLAT,” screams Lil Pump, over, and over, and over, a truly purgatorial fate worthy of Dante. We’re not sure if the track is meant for Ski Mask’s Stokeley, or Lil Pump’s Harverd Dropout. Either way, it doesn’t seem likely to convert any fence-riding fans. Still, Pump’s core audience will likely appreciate the energy, and Ski Mask has never been one to shy away from a mosh-pit anthem. NEW | This Song Lit , @lilpump X @theslumpgod 🔥🔥 – Follow @worldofpump For More!